About Us-Audited Stainless Steel Railing Supplier: AISI304/AISI316 Stair/Deck/Balcony Railing. JINXIN Hardware Products Company was incorporated in Hong Kong in the summer of 2005. Over the years,we focused on high-grade stainless steel hardware development, production and sales promotion of the global market. "JINXIN" has become the famous brand of modern stainless steel construction, decoration and design field. Its core products include: the handrail baluster, handrail accessories, door handle, glass clamp, glass spider, bathroom accessories, glass hinge, swimming pool balustrade, etc. 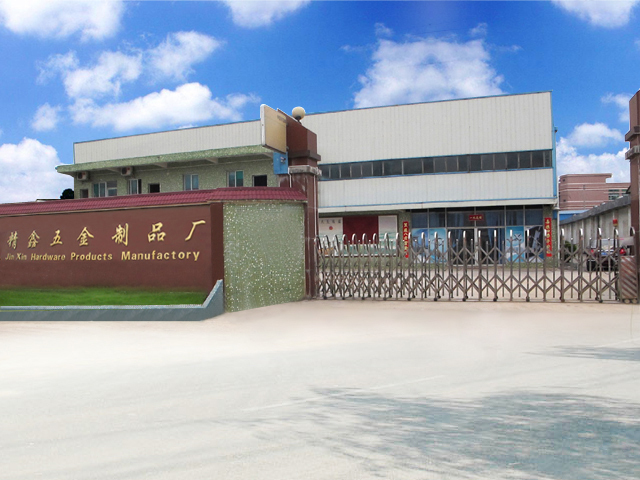 To meet strong demand of buyer's market, our company invested a factory in the mainland of China (Guangzhou city Huadu district) in 2008, and made the industry and commerce registration for enterprise: Guangzhou Huadu District JINXIN Hardware Products Manufactory,which is mainly responsible for the company's own product research, development and the production. This is a modernization factory which has Germany advanced machinery and technology.Our factory unity to use Germany TUV standard to control the quality of product. Our products have been authenticated by CMC of Chinese Technical Supervision Bureau .And there are more than one hundred staff, with annual production capacity is more than ten million yuan. To ensure that the best quality products, JINXIN pays special attention to the selection of materials, such as stainless steel 304 and 316 or 316 L which must reach the United States AISI standards or Japanese SUS standards to ensure all the content of trace elements reach the standards. As to surface treatment, besides choosing experienced adept polishing workers, our factory also uses the import of Australia 3 M polishing materials to deal with grinding , wire drawing, mirror surface of light excellently, keep the appearance of the products with clean and tidy, nondestructive, wear-resisting, shining excellent properties in long-term moist and pollution environment. In the development of design, our company provides professional design team including graphic design, CAD design, 3D rendering design, and strives to create a more beautiful and unique product , ensureing the harmonious unification of efficacy and aesthetic, bringing infinite style and aesthetic feeling for the star office buildings, business square, household mansion. In order to focus on the global market sales, technical consultation and installation services, our company market development planning to complete the global 10 key countries in the direct selling in the next three years. Successively set up a branch in Vietnam, Thailand, Saudi Arabia and other countries in 2012.Our high quality products dedicated to the local market combined with developing advantage of localized human resources management . "JINXIN Hardware" will continue to strengthen the innovation and improve the operational performance, make great efforts to improve the product quality, speed up the development of the new product, and strengthen the import of JINXIN Hardware core value system: customer satisfaction, excellent execution, innovation and sincerity.In the process of industry, JINXIN Hardware, with its multiple benefits of the good at manufacturing and research and development ability, expanding the scale of production and market share etc, committing to become the global leader of the professional construction hardware experts. Based on the strong present and future prospects, JINXIN will take a more realistic spirit, rigorous attitude of thinking, continuous innovation, in pursue of excellence.With a sincere, strength and taste, leading the new trend of adornment hardware products in modern globalization stage . We firmly believe that JINXIN will have a glorious future!